We now offer an active immunization against cholera. Ask our travel health provider for more information. 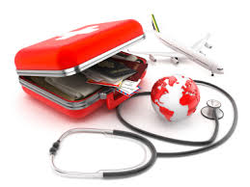 Anyone traveling internationally will benefit from the information learned during a visit to our Travel Health Clinic. Contact our office for travel clinic hours or to make an appointment.